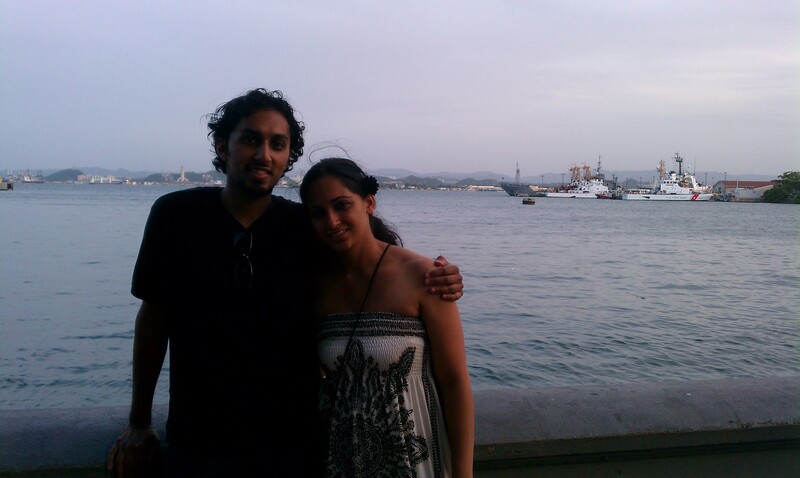 Sheena’s friend Alice was getting married in Puerto Rico so we decided to make the trip and enjoy some time in the sun. But getting there proved to be pretty rough. We had a 5:20am flight on Friday. We planned to get up at 2:30am, get ready and make our way to the airport, which is roughly 45 minutes away. The plan was to be there at 4:30 to give ourselves enough time to park, take the shuttle, go through security and all that jazz… We ended up waking up at 4am! Needless to say we were frantically running out the door. Somehow we got to the gate at 5:15am (amazing, if I do say so myself), but it wasn’t good enough. The doors shut 5 minutes before we got to the gate and we were forced to take a later flight, which was only an hour later. No biggie, right? WRONG! 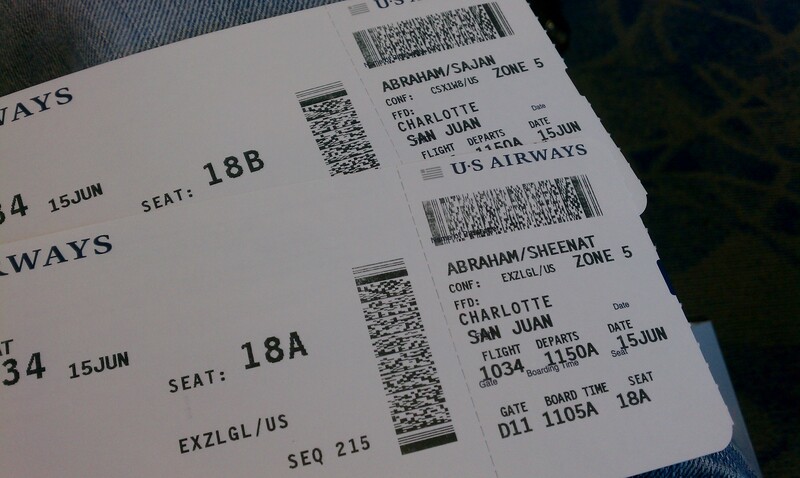 We had a connecting flight in Charlotte, NC and all the other flights to San Juan were fully booked. So our options were to roll the dice on standby in Charlotte which would get us there only an hour behind our original schedule or book a secured flight from Houston to Charlotte to Philly and then to San Juan which would get us there an entire day later. Going standby potentially means that we would never get a flight and end up back in Houston with a fully day spent at the airport. We really wanted to be there on Friday so we just went for it. The entire flight to Charlotte, I was sweating bullets hoping that we could make the standby flight. Once we touched down, we bolted to the connecting gate (which of course was in an other terminal making the run that much further). Once we got to the booth i was out of breathe, but asked if there were 2 seats available. The ticket lady saved our day and gave us two seats together! After that fiasco was over, everything else was smooth sailing. 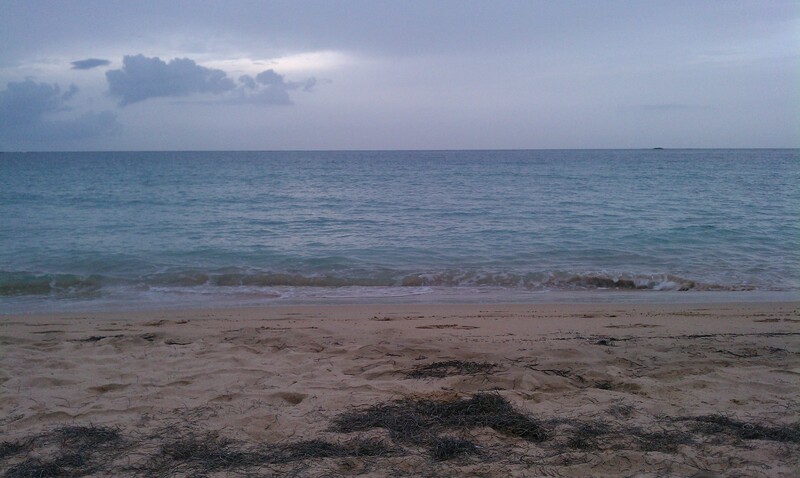 Puerto Rico is a beautiful place. It has the wonderful feel of a Latin town with the convenience of US luxuries. We stayed in a beach side community called Ocean Park. Our guest house was only a few blocks from the ocean and everyone we came across was very friendly and helpful. 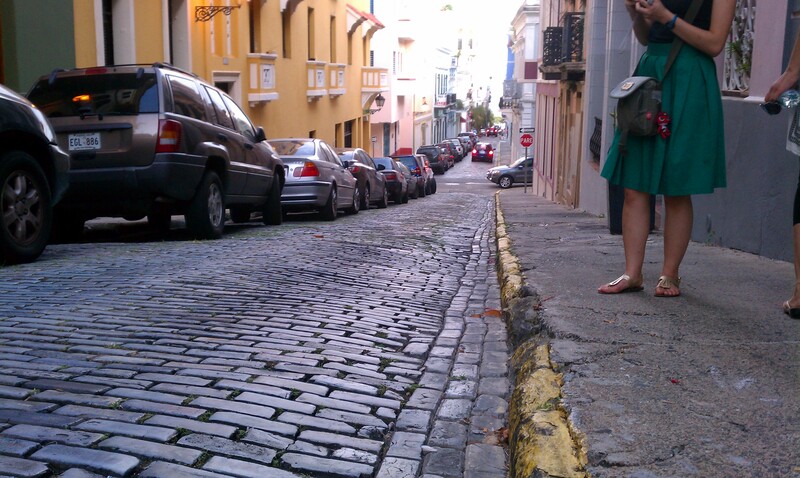 Friday once we got settled, we roamed Old San Juan before the rehearsal dinner. We had some delicious street tacos while walking around and then we made our way to the party. 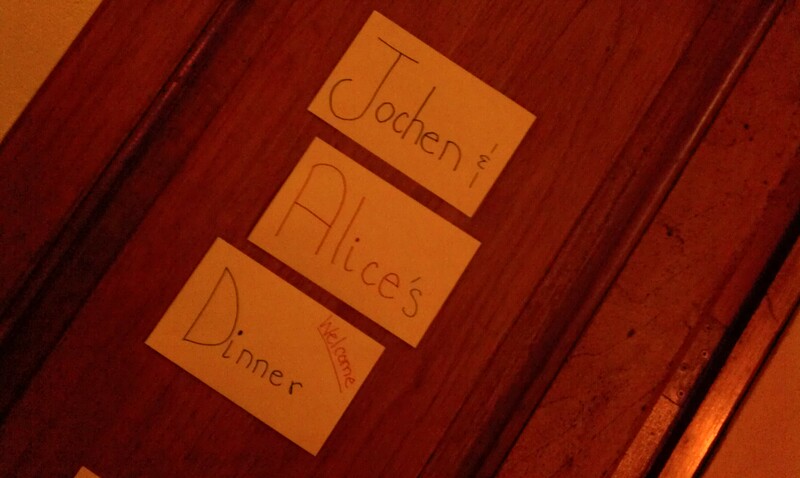 It was at the couple’s apartment so it was nice and intimate, like a good ole fashion house party! Since we had a full day of travel, we called it an early night. 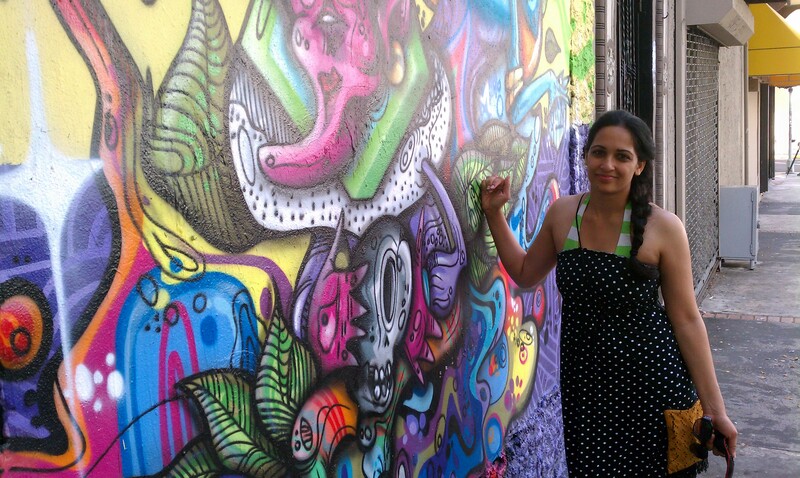 Saturday morning we made our way back to Old San Juan and did some more site seeing along with some shopping. We were both anxious to get our feet in the water so we made our way back and spent the rest of the time splashing around at the beach and building a sand castle. The sand castle was more of a pile of sand than an actual castle, but it was fun to build none the less! Saturday night was the wedding. 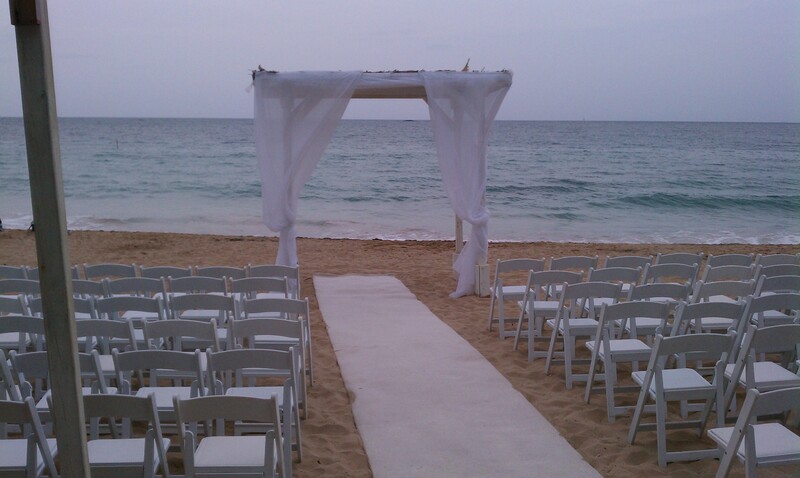 It was a beautiful ceremony on the beach and officiated by the groom’s sister. I loved the fact that the entire wedding was so intimate. 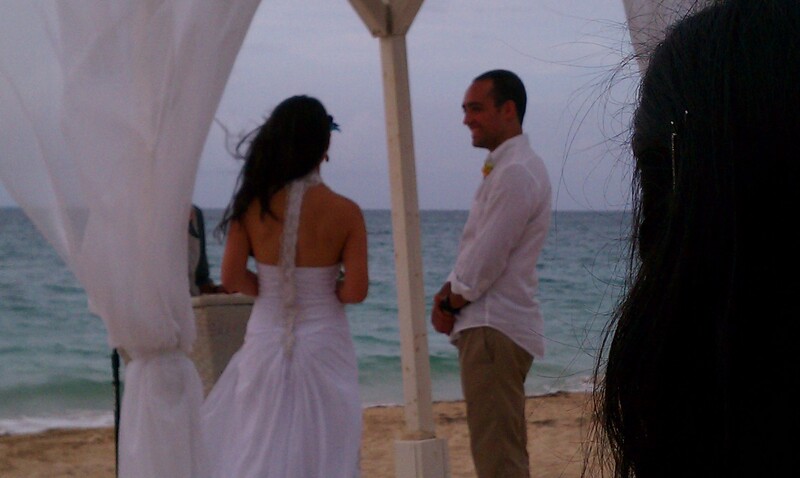 After the 20 minute ceremony, there were cocktails on the beach and time to snap some pics with the couple. Then we headed to the 3rd floor of the hotel for dinner and dancing. Like any wedding, it was all a ton of fun. 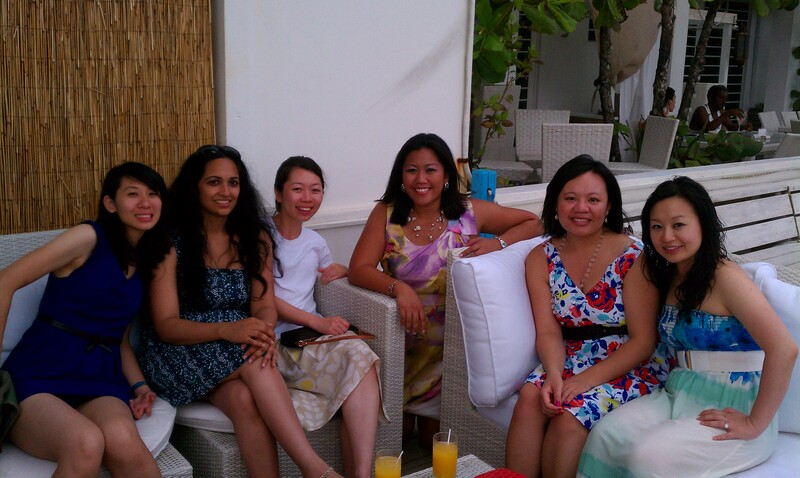 Since it was Sheena’s high school friend it was a mini high school reunion for her. Sunday morning we got up bright and early for a zip-lining, hiking, kayaking excursion. We were about 20 minutes from our guest house at a 2200 acre farm. 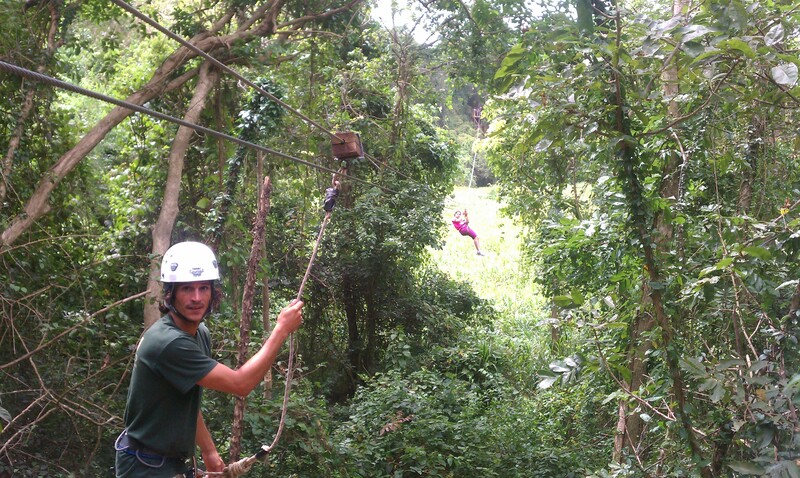 The zip lines spanned through the entire property. At the heights we were soaring from, it was a beautiful site to see! Although it was exhausting, it was one of the highlights of the trip. Coming back from the excursion all we wanted to do was grab some food and chill for a bit… And that’s exactly what we did. After a well deserved nap, we headed to the beach one last time to soak up the atmosphere. We had an early flight back home on Monday morning and there was no way we were going to miss that flight so we made sure that everything was ready to go (with multiple backup alarm clocks). Overall it was a great trip. We didn’t bring Layla with us, which was a bummer because we missed her a lot, but it made things a lot easier for us to let her spend the weekend with her grandparents. I didn’t mention the food but every meal we had was on point. There was a bakery right next to the guest house named Kasalta. President Obama ate there on his visit and we ate on his actual table too! 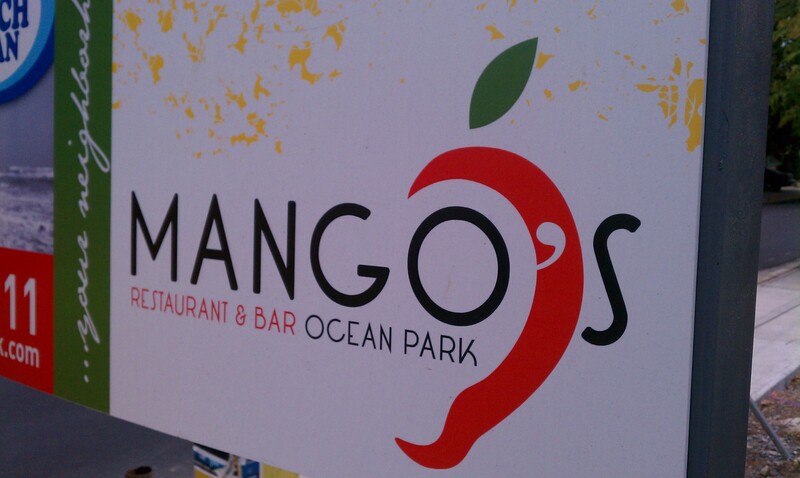 Another fun spot was a place called Mangos. It had great food and a really cool vibe. We hit up a popular spot called Bebo’s for a local dish called mofungo. 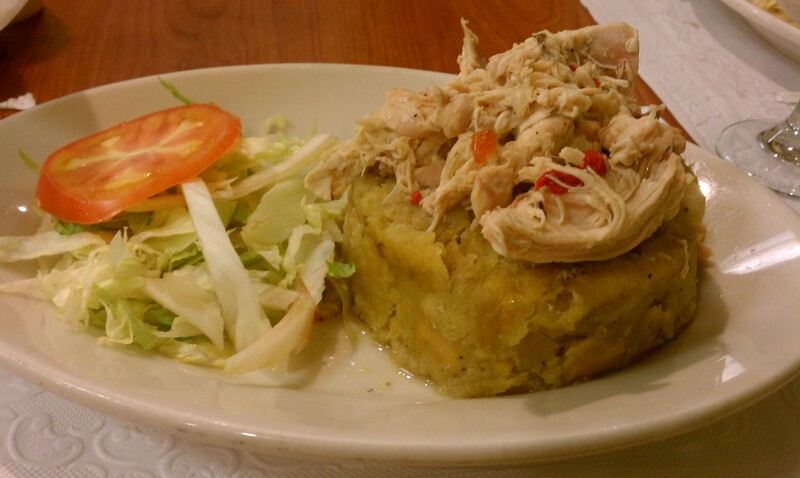 Mofungo is basically plantains mashed up and stuffed with your choice of meat. It wasn’t anything special to me but it was fun to try it out. 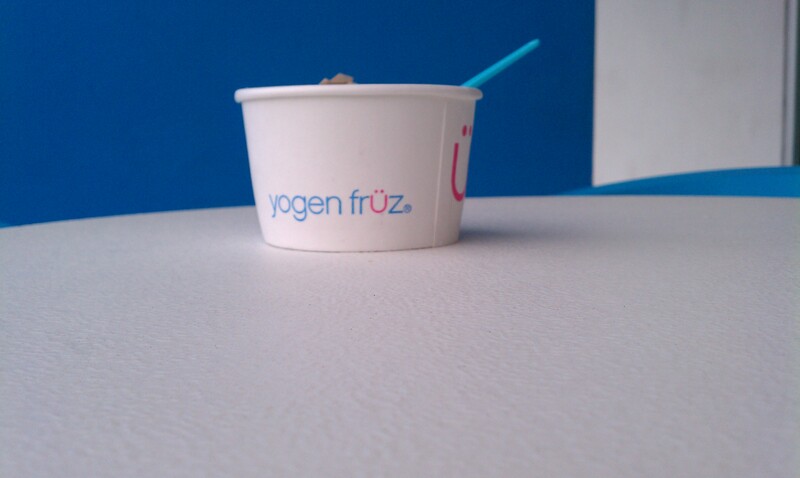 Another cool spot was Yogun Fruz. It was a hip yogurt spot that was great, especially with the hot days. To complete the trip the way it started, we had a connection in Atlanta. This time, at no fault of our own, we landed in Atlanta just as our Houston flight was boarding. We were hopeful that the connecting gate would be in the same terminal… WRONG! We landed in Terminal E and our Houston flight was in Terminal B! Needless to say we had to run the entire way (including riding the train to get to the correct terminal). Luckily we just made the flight. We were the last ones on, and we were out of breath, but we made it. 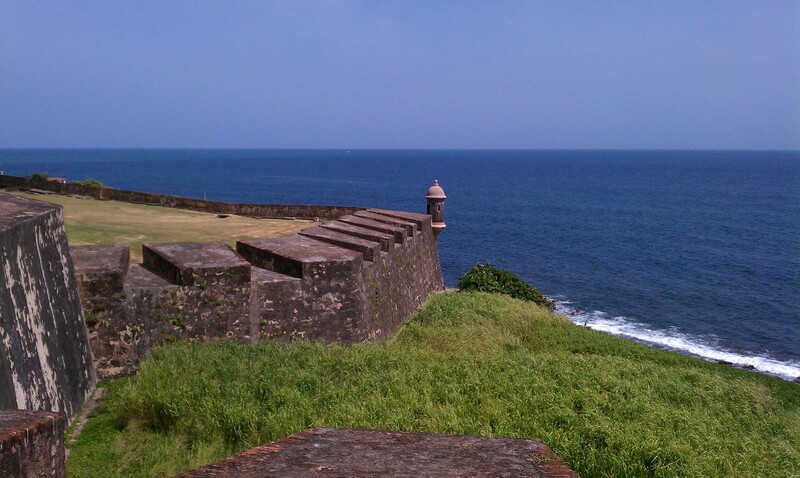 If you’re debating about making a trip to Puerto Rico, just do it. You won’t regret it! I definitely wouldn’t mind making a trip back there again. One piece of advice though, get a direct flight and don’t oversleep. Wow. What a fun-filled weekend! You woke up at 4am!?! Impressive driving buddy. Great photos of you and Sheena! Looks like you both had a great time in Puerto Rico. Thanks for the entertaining and awesome post.